Apart from big game companies like King and Supercell there are thousands of small developer teams creating stunning games for your mobile pleasure. 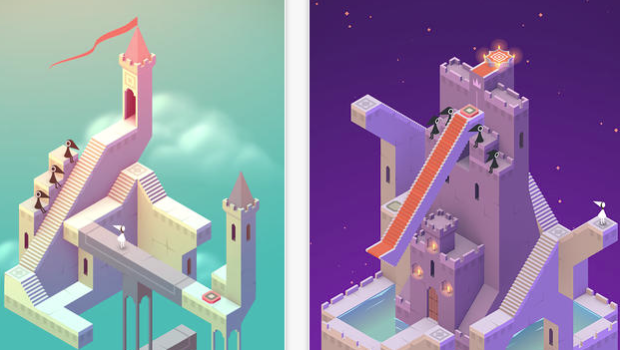 Monument Valley is even top of the itunes sales charts right now. This article will feature a few more of them with videos. Get into the dark and abandoned world of Limbo! In the old days man tried to catch a glimpse of the future in the strangest of ways. Mysteries and clues await everywhere in Year Walk…..
A truly unique puzzle experience that embraces simplicity, elegance, and challenge. SolForge is a revolutionary new digital collectible game that will redefine the genre, designed specifically to take advantage of the mobile space. In FTL you experience the atmosphere of running a spaceship trying to save the galaxy. It’s a dangerous mission, with every encounter presenting a unique challenge with multiple solutions.